Maintaining muscle mass should be a top priority once you hit your third and fourth decade of life. Age-related muscle loss, also known as sarcopenia, becomes common as we get older. Less muscle leads to reduced strength levels, issues with mobility, and a higher risk of injury. It can also cause a decrease in quality of life. Our experts explain why this gradual loss happens, and offer specific exercises that you can do to build and maintain muscle mass as you age. Realize that you’re fighting biology, to some extent. 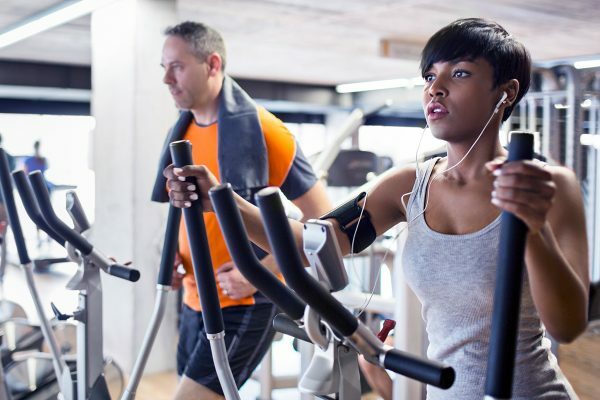 “As we age, we decrease our hormonal production by about three percent every year from the age of 30 years old,” explains Fitness and Age Management Expert Jenn Zerling. Dr. Karena Wu, a New York City-based physical therapist, says this is a normal cellular change called sarcopenia. We lose one pound of muscle per year, or three to eight percent per decade, after the age of 30. It accelerates after the age of 60. A 2013 study supports these findings, noting an eight percent per decade decline up until the age of 70. Then there’s an additional 15 percent loss per decade after that. Sarcopenia also impacts men and women differently. With age, men’s bodies produce less and less testosterone. This can impact mood, libido, stamina, and muscle size. Women lose testosterone, too, but the effect of muscle loss can be a bit more substantial. “Specifically for women from age[s] 40 to 60, difficulty building muscle begins with the changing hormones that define these decades of their lives,” states Jeanne Andrus, a personal trainer and certified health coach. Perform specific strength movements to minimize muscle loss. She recommends prioritizing closed chain exercises in the lower body, like squats. You can also walk on an incline, either outside or on a treadmill, to strengthen your glutes and hamstrings, and build leg strength overall. Finally, she suggests pulling exercises like rows, as well as side planks and regular planks. These target deep core muscles that support your lower back. Aaptiv Trainer Candice Cunningham also likes any move that targets larger muscle groups, or multiple muscle groups at once, to help improve mobility and functionality. Additionally, Andrus has discovered that many women over the age of 40 prefer bodyweight exercises over using machines at the gym or adding free weights to their workout routine. Building muscle strength also builds stronger bones. “Weight-bearing exercise [is] any exercise that requires you to move your body, a weight or resistance against gravity. 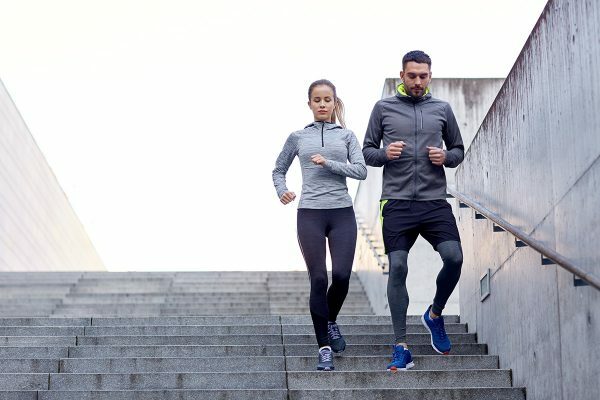 [It] works to build stronger bones by stimulating cells responsible for the synthesis and mineralization of bone,” says Hope Pedraza, a personal trainer and nutrition coach in Texas. Meaning that any weighted exercise is sufficient, whether you choose dumbbells, resistance bands (these are our favorite), or bodyweight workouts. Dr. Wu also says that moderate weight training is great for gaining muscle and keeping muscle tone. Of course, with any of these exercises, you’ll want to check in with your doctor first. Then work closely with a personal trainer, if possible, to ensure proper form and/or to take advantage of modifications for your body. Consider strength training not just for building muscle, but also for improving overall health. Research shows that completing consistent strength training workouts as you age can help maintain or even add muscle mass. This is particularly true when supplemented by a healthy, protein-rich diet. Strength training, says Dr. Wu, also slows bone loss, protects your joints from wear and tear, gives you better movement control to reduce injury, and helps you maintain digestion and fluid regulation to minimize fatigue, swelling, or dehydration. Depending on how active you are, notes Cunningham, staying active as you get older is important to maintaining good stability, balance, gait, and heart health. “Being strong physically translates into being mentally strong because you also keep your independence as you get older,” says Zerling.